Get your Website, Tumblr, or Wordpress completely redesigned to fit the modern era. We are not just another design studio. 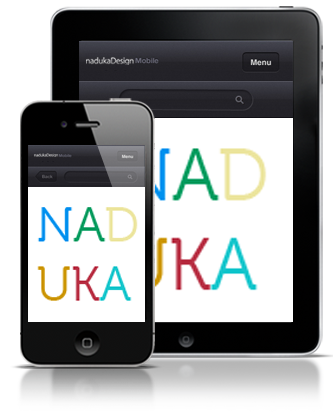 We are nadukaDesign. We create to please. Nothing we do is out of proportion. We do things the right way, no matter how long it might take. This is the aim that nadukaDesign works towards, offering its clients a first-class service for the right budget. We are perfect for individuals or small companies. All of our coding is professional and done in a valid HTML format. Want to start your own blogging business. Contact us for more information and quotes. We help small and medium sized businesses grow! Contact us on information about how you can sell your products online! For those wanting to put a little more style on Tumblr™. This designer has been nothing but good for me. I can't believe how many visits I've had since they redesigned my site! This spot is reserved for our future clients. Our projects will constantly be updated and will show a preview of our modern designs. Looking for something? Try using our search. Follow us on our social media links. Enter your information in the field to subscribe to our newsletter. Receive discount codes and much more! © 2011 nadukaDesign. All Rights Reserved.